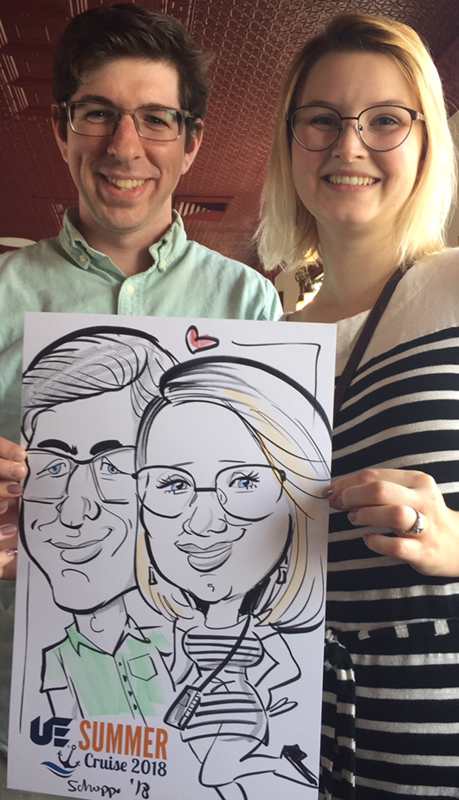 Laura and Mark drew classic caricatures for a corporate event on the Cherry Blossom boat on the Potomac. Here are a few “victims” from the event. The client requested a color logo be printed on the paper. This entry was posted in Alexandria Virginia caricatures, Association event caricatures, Caricature Artist, Caricature Artist Northern Virginia, Caricatures at events, Live caricatures, Northern Virginia caricatures, Pre-printed paper. Bookmark the permalink.